South Korean workers have crossed the North Korean border to return to the Kaesong industrial park, five months after work was halted amid high political tension. Trucks and cars began crossing the border into North Korea at exactly 08:00 a.m. local time. More than 800 South Koreans were due to cross to the jointly-run centre for what is being called a trial restart. North Korea withdrew all of its workers in April, as ties between the two Koreas deteriorated in the wake of Pyongyang’s February 12 nuclear test. Reopening the complex has taken months of negotiation. South Korea’s Unification Ministry said a total of 820 managers and workers planned to cross into the complex on Monday, with 400 to stay there overnight. They will be inspecting production facilities to assess how quickly a full restart can be implemented after five months of inactivity. 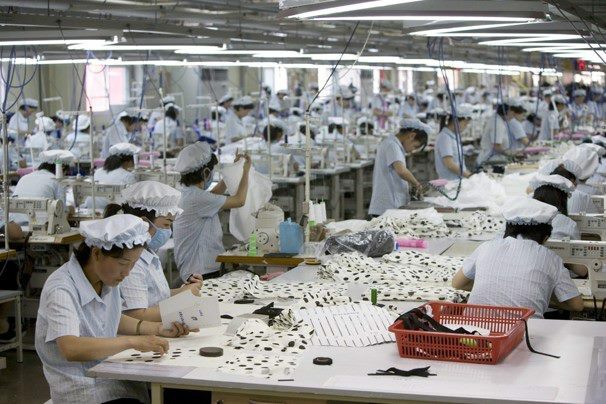 The restart is being described as a trial but more than half of the South Korean companies had asked North Korean employees to report for work, the ministry said. Negotiations on resuming operations at the complex faltered for weeks on South Korea’s insistence that safeguards must be in place to prevent any future unilateral shut-down of the site by North Korea. But the two sides have now set up a joint management committee to run operations at Kaesong, which last week set a restart date for the complex. The committee has also reached agreement on smoother access to the site for South Koreans by expanding permitted border crossing times and is negotiating about improving communications there. The Koreas have also agreed to open the site to foreign investors – a move seen as making it harder for North Korea to unilaterally close the complex again. South Korean firms will be exempt from taxes for the rest of the year, to offset losses incurred while the complex was closed. But some local businessmen remain worried about the risks of doing business with Pyongyang. “Honestly, I still feel a bit nervous, because you never know whether the North will change its mind in the future,” a textile company manager told the French news agency AFP. “Who knows if a crisis like this won’t happen again?” he said. The shutdown was the first for the Kaesong complex since it was opened more than a decade ago. It came during a period of very high tension on the Korean peninsula. The February 12 nuclear test led to expanded UN sanctions which, along with an annual US-South Korean joint military drill, angered Pyongyang. It threatened attacks on multiple targets in the region, prompting warnings – and displays of high-tech military hardware – from the US. Tensions have eased somewhat in recent weeks, however. North Korea and South Korea have also recently agreed to hold the first reunion of families separated by the division of the peninsula after the 1950-53 Korean War later this month. It will be the first such reunion in 10 years.